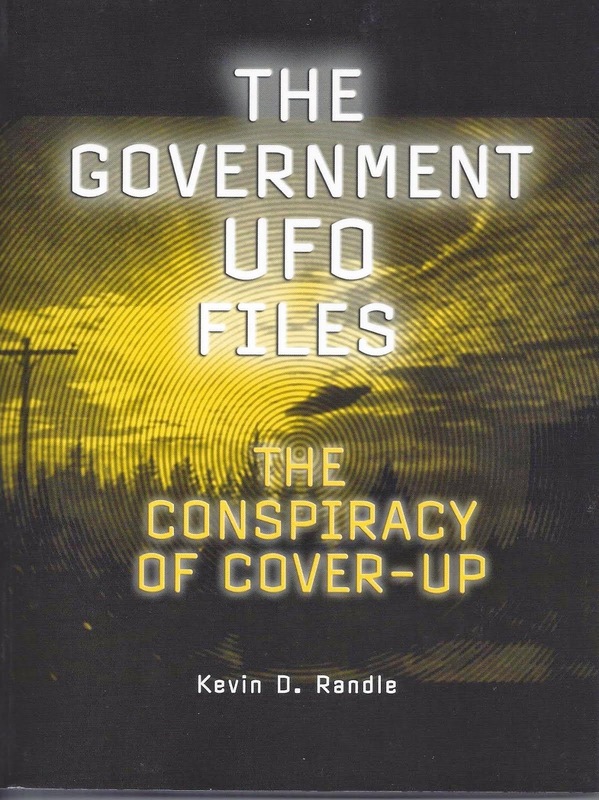 There are those who believe that the Freedom of Information Act is the gateway to all knowledge about UFOs. If you have a question, just file a FOIA request and the information will be sent to you. Anything you wish to know, you can learn, if you can find the right agency, form your questions intelligently, and if you have a little patience. Here’s why. In the last century, which of course, means fifteen years ago, I wanted a report that had been issued at the White Sands Proving Ground. I provided the precise name of the document, the name of the author and the date it was published. Their response? They I needed more precise information. I confess I don’t know what more they could have needed other than where the file cabinet in which it was stored was located and in what office on the base. I bring this up now because in the last year my attempts at FOIA have gone astray. 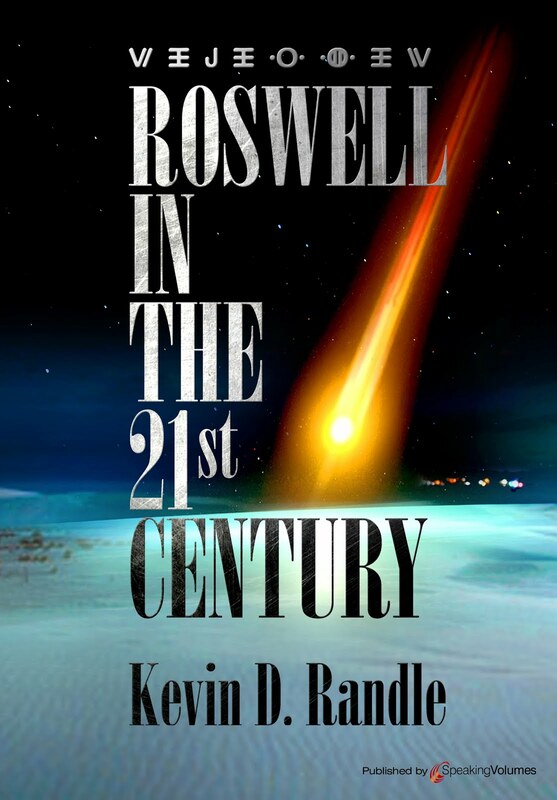 I have, since the report was published in the mid-1990s, attempted to learn more about how the Air Force Roswell reports were ordered. I have asked the Secretary of the Air Force’s office, repeatedly, for all information about this including memos, letters, orders, minutes of meetings, and all the other nonessential waste of paper that you would expect from a government bureaucracy. And I have been given the run around. First I was sent to the Government Printing Office and their response was a catalog of documents available. Now I knew that the GPO would not have anything I wanted, but I sent a FOIA to them so that I could say that it wasn’t the right place. Which I did. But all they had were the records produced in the investigation including the video tapes made by the Fund for UFO Research, a court martial record of a doctor from 1957 that had no significance to the investigation at all, copies of documents that I and other private researchers had sent them, and nothing that filled my request. In the last year I have attempted to get these documents again. I have sent four FOIA requests to the Secretary of the Air Force FOIA office and have not received a single reply. I would have thought that at the very least they would have let me know they received the request as the law requires. The other day, I sent another FOIA request and this time I had to pick a category. Was my request commercial, educational/new or other. I fall into the commercial category, which from the sound of the emails, means they are going to charge me for the service. It seems to suggest they have a new way to stop FOIA. Make it clear it will cost money… and yes, I agreed to pay for the service because it is for a book but the information isn’t all that spectacular. The point here is that it doesn’t seem that FOIA works as well as it used to. It seems that they can ignore repeated requests, and I really don’t want to pay an attorney two hundred dollars an hour to sue them for a response, only to learn that the information is considered vital to national security which would launch another lawsuit. They have the resources to dance, but we out here do not. Oh, I get it that lots of people file FOIA over trivia… but then, if the records weren’t hidden away, there would be no need for FOIA. And yes, I understand that some things are a matter of national security, but I’m not sure how that might relate to the Air Force investigations of Roswell since the Air Force said it was a balloon, or how it relates to the radar tracks of a commercial airliner more than two decades ago. FOIA just doesn’t work the way it used to and that is really all I’m saying. The reality is either ordinary bureaucrats not knowing where things are or too lazy to find out, or simply to lazy to answer altogether, or following canned responses ("we are not a repository for UFO information") , knowingly sending researchers off on wild-goose chases at other archives they know to have nothing ("check the National Archives"), or deliberate obfuscation and cover-up through delay and frustration. This is exactly what happened to Congressman Schiff of New Mexico and got him so steamed when he asked the Air Force for anything they had on Roswell, they referred him to the National Archives, who told him the Air Force knew they had nothing, or as Schiff called it, a deliberate "runaround." That's when he asked the GAO to look into Roswell. Although not documented here, Dennis has told me he eventually got referred back to the National Archives. Over 10 years later the AF still cannot produce any report from the unnamable lab to back up the non-readability claim. "Deliberate red-meat provocation to get a discussion going". Actually I prefer well cooked meat. Do either of you SERIOUSLY believe that the failure of the various government departments to provide definitive answers to your FOIA requests is anything whatever to do with withholding the secret of ETs visiting our planet 65 years ago (or at any other time)? Suggestion: Why not try the UK MOD over Rendlesham? We also have an Freedom of Information Act now. You may strike gold. But it is a (very) big 'may'. No, I believe that the problem is systemic... the teeth have been removed from the FOIA laws, they now routinely charge, they categorize the requests, all to keep from having to do anything at all. It has nothing to do with UFOs and everything to do with keeping information, however routine and dull, from the public. I had asked for something that should have been as simple as reviewing the Command Post logs on a single date. I just wanted to know if a telephone call had been made and if a radar track had been seen... Instead, I get a number of emails that have nothing to do with that and I still have no answer to my questions. And, I have received absolutely no answer from one office at all. I have sent, over the last year, four separate requests for the very same information. The point is that FOIA is sick and dying and that has nothing to do with UFOs. In June 2003, the Department of Justice held meetings to train FOIA officers how to keep more information from being disclosed under FOIA. Just for the record, I think most failure to properly respond to FOIA requests are partly modern-day budget restrictions and bureaucrats (perhaps overworked) not wanting to be bothered and hoping you will go away if they ignore you. However, with the UFO topic, we know from past experience deliberate lying has been involved, hence the need for lawsuits to try to shake loose UFO documents from the FBI, CIA, NASA, etc. Usually turns out they did have those nonexistent UFO documents after first denying they had any or ever had any interest in the matter. Is the US government plain fed up answering questions on a subject they no longer care a fig about? The government has an obligation to answer the questions under FOIA. Doesn't matter the subject or the reason. It is the law... a now watered down law. I might say I'm fed up with paying taxes to fund programs, projects, and policies with which I disagree, but that does not end my obligation to do so. 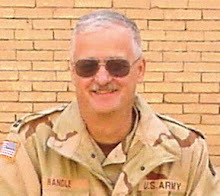 Don't get me wrong: my comment was aimed not at Mr. Randle but the usual conspiracy whiners who think UFOs are the grand secret cipher to all knowledge. The Washington Post ran an article today on government transparancy that agrees with Kevin that this is a broad problem, not one restricted to UFO documents. I'd have to agree that the FOIA is nearly defunct for any serious purpose involving attempts to pry data out of the US government agencies that would prefer confidential or classified data to remain unavailable, regardless of what the law requires. It would almost be laughable if the implications and consequences weren't so seriously detrimental to truly open or "transparent" government and allowing the public the foundational right to know how and what policies are created and carried out in our name as a democratic republic. The US Air Force is one of the most notorious agencies of government in ignoring, denying, and essentially contravening the current requirements of the FOIA and the related rules and law regarding Mandatory Declassification Review requests (MDRs). In fact, in 2007, the US Air Force won the "Rosemary" award for worst FOIA performance from the National Security Archives group at George Washington University. The problem is compounded when FOIA staff is not as well-funded, staffed, or professional as is required to comply with legal requests for info, and I can only think that either "benign neglect" or deliberate, given how horribly the USAF and other military and intelligence agencies have been for decades in complying with the laws of the land regarding disclosure. The "Rosemary" award is named after Rose Mary Woods, who achieved notoriety during the Watergate tapes scandal, when the Nixon administration blamed her for "accidentally" creating the infamous 18 1/2 minute audio gap in a crucial tape that would have shown Nixon's direct involvement in orchestrating and directing the cover-up. There needs to be a wholesale review and revision to both the FOIA and MDR laws by Congress to comply not only with the rule of law, but also so that such laws are enhanced and expanded to comply with the Obama admin's less than honest political pronouncements about how his admin is the most open or "transparent" in history, despite the fact that is provably untrue, and getting worse as time goes on. More whistleblowers or "leakers" have been subject to prosecution under the espionage law of 1917 than all prior US executive administrations combined. And I do not foresee this changing for the better anytime soon -- if anything, it will become more and more difficult to get the government to comply with the laws, such as they currently are, and sworn responsibilities to uphold the Constitution and Bill of Rights. "They" are getting away with it, which is a crime, IMHO. So, Kevin is absolutely right, and this really is not specific to UFO data -- it's comprehensive and across the board censorship and illegality. The FOIA is in tatters.